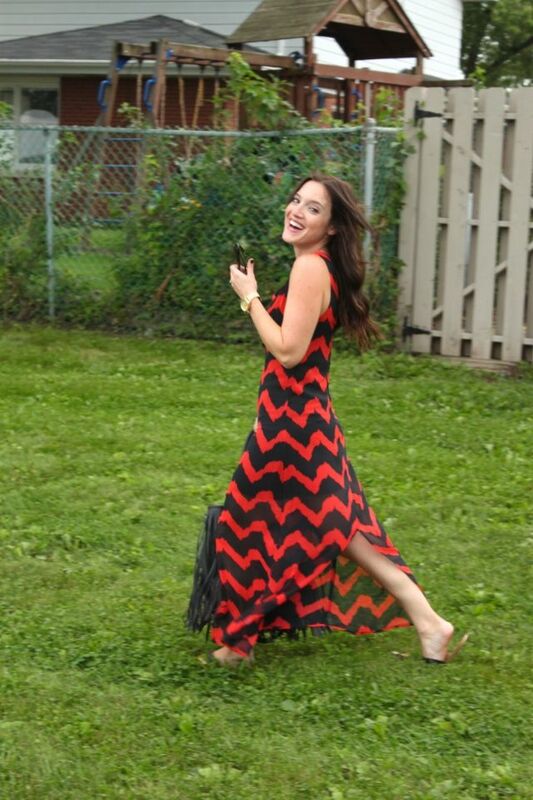 We had some warm weather last week and it actually felt like the last blast of summer. 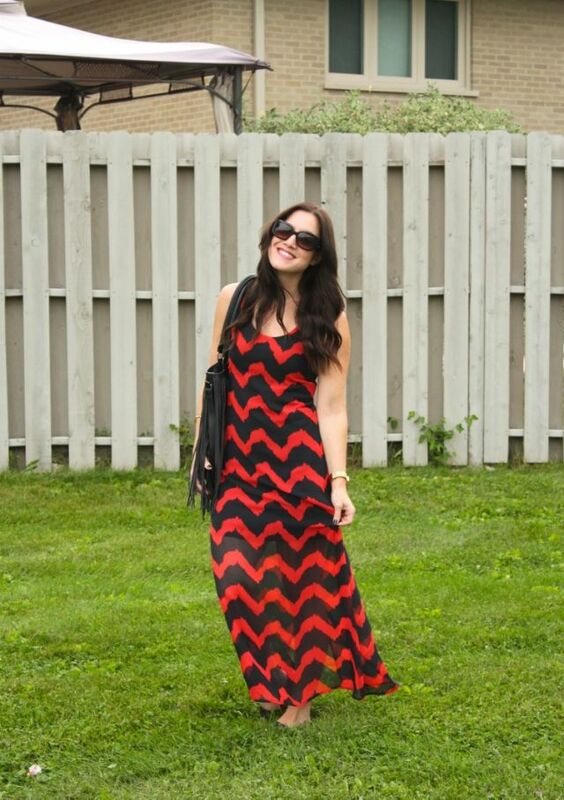 What better way to celebrate warm weather then with a maxi dress and flat sandals?! 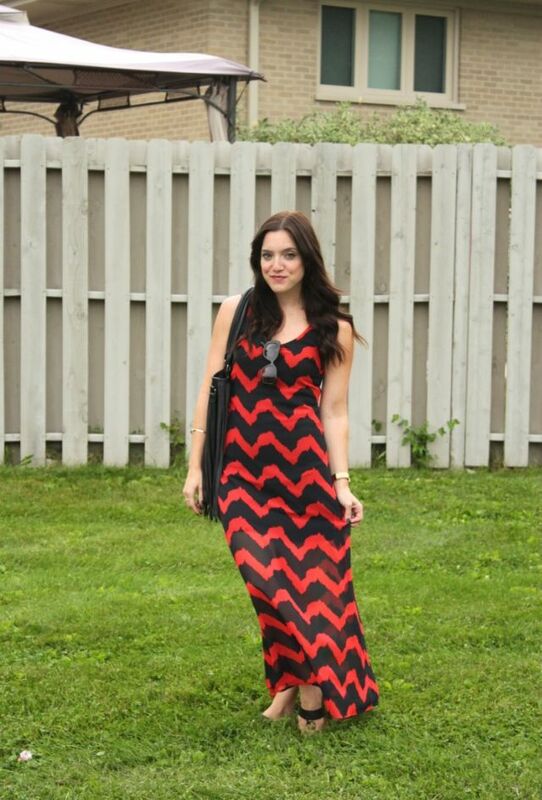 I love me a great chevron print and this one is so fun because it has a bit more wave to it. 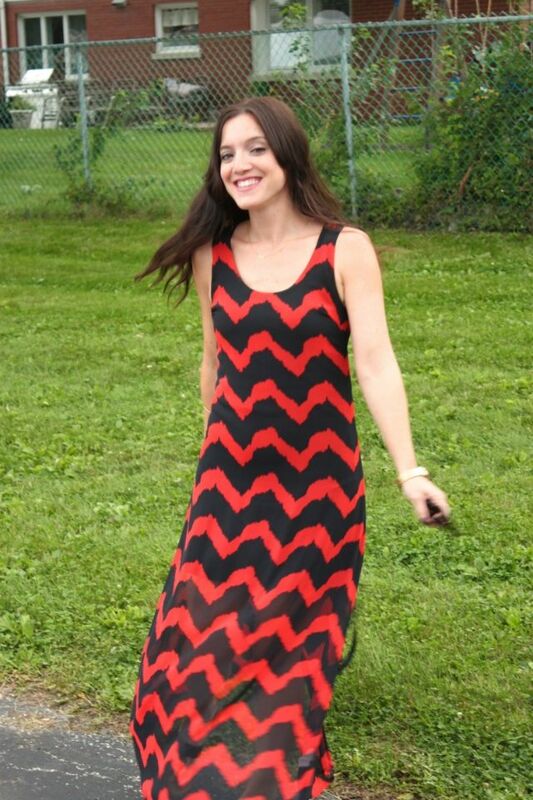 The lines of the print are not as defined as a usual chevron, so I like to refer to it as wavy. 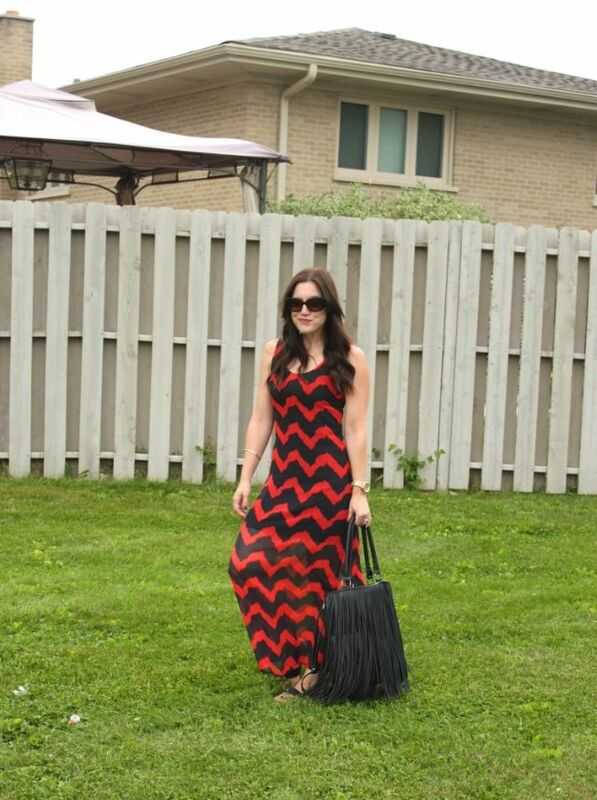 To match the print, I wore my hair wavy, added simple gold jewelry, and my favorite fringe bag. 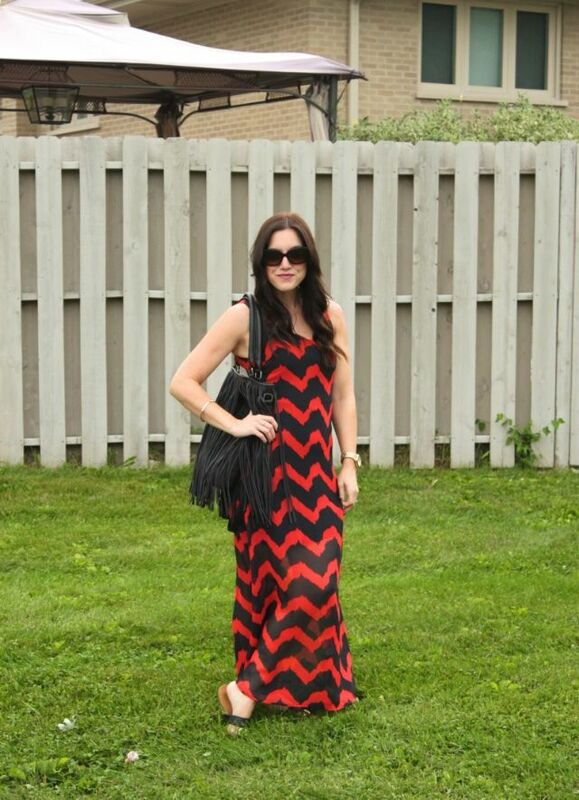 This is one of my year round dresses. I love styling it with a leather jacket in the fall or maybe this year I'll even style it with a sweater over it. What do you think of this outfit? Are you in between hair styles too and looking for a change?